Dads hold a special place in the hearts of their children, and when it comes to celebrity dads, they also hold a special place in their fans’ hearts, too. Some of these dads post tweets about life as a father, or just life in general, that are so funny and cute that even non-fans end up being converted. Twitter is an awesome platform for reaching a whole lot of people at once, and with cute tweets like these, they go viral in no time. 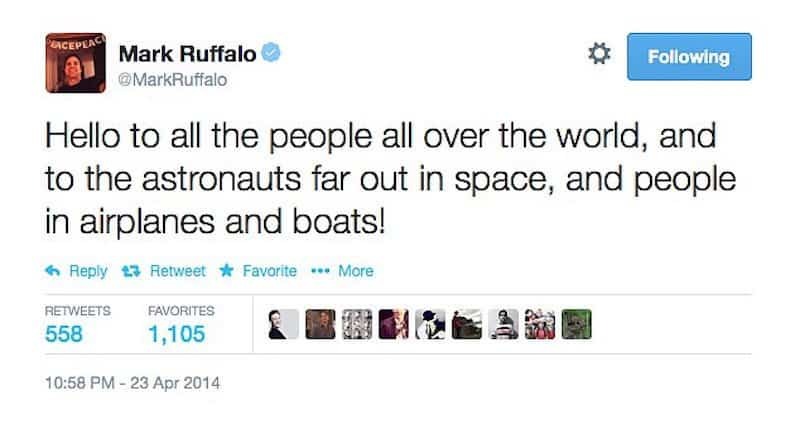 Here are 14 of the funniest tweets celebrity dads have ever posted. Actor Dax Shepard tweeted this birth announcement for his daughter, Lincoln, and while it certainly wasn’t the most sentimental, it sure was funny. 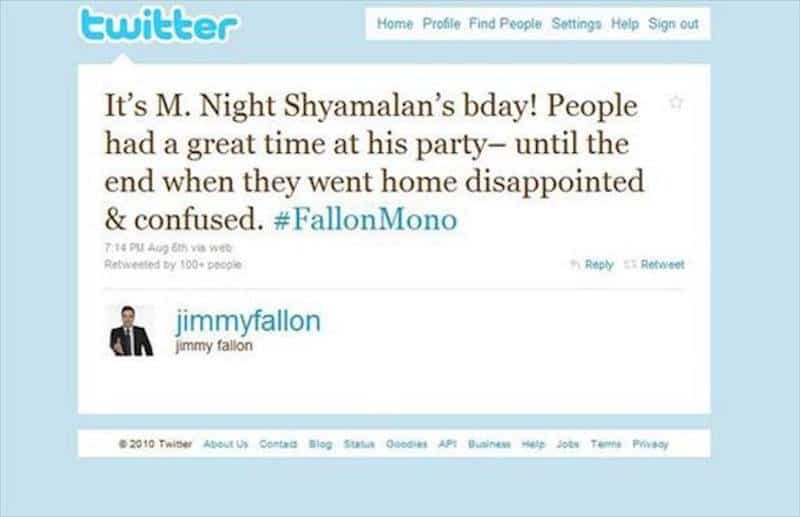 The talk-show host and father of two has basically nailed how everyone feels after seeing an M. Night Shyamalan movie. 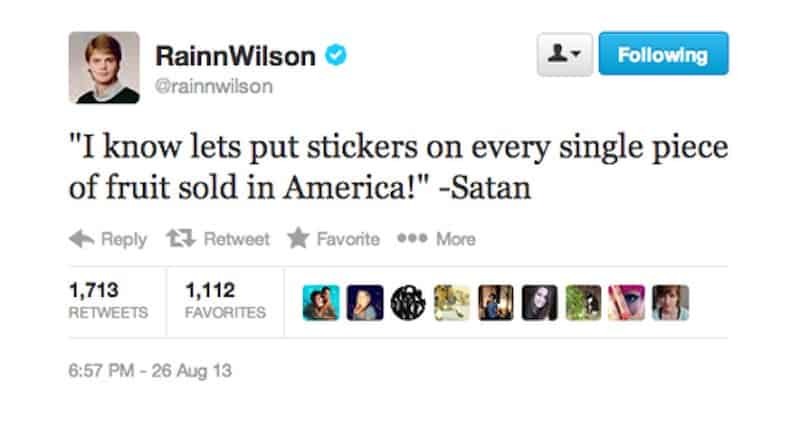 Rainn Wilson is best known for his role on The Office, and this funny dad of one feels the same way about fruit stickers as the rest of the world. He might play The Hulk, who’s a pretty angry guy, but Mark Ruffalo sent out an uncharacteristically friendly (for The Hulk) tweet. Katt is right! That’s the universal possession of most families. 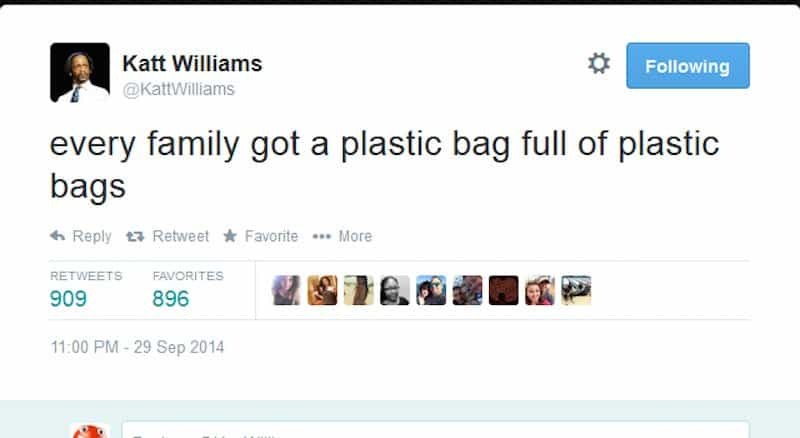 There has to be a classier way of storing plastic bags. 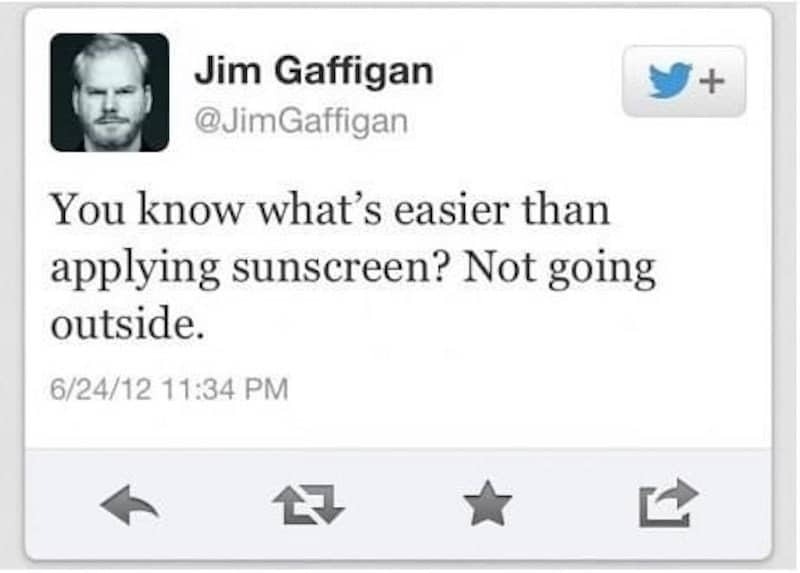 Comedian and father of five, Jim Gaffigan, has productivity nailed down. Why go outside when you can stay inside? 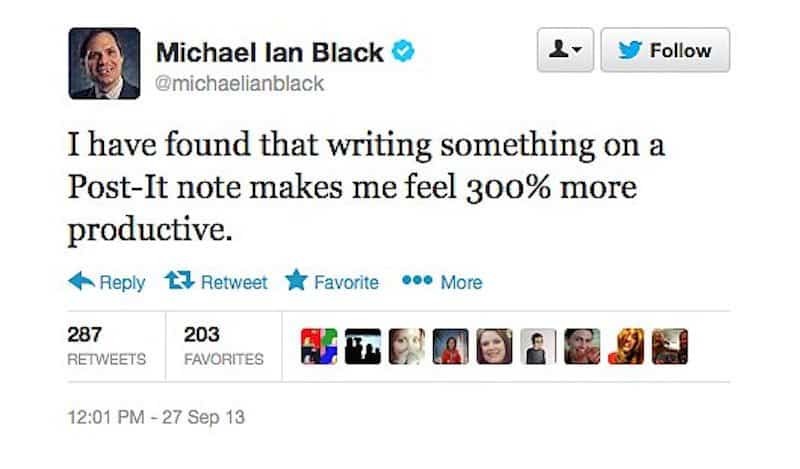 Comedian and actor Michael Ian Black knows that there’s something about writing something down that just makes it feel official and professional. 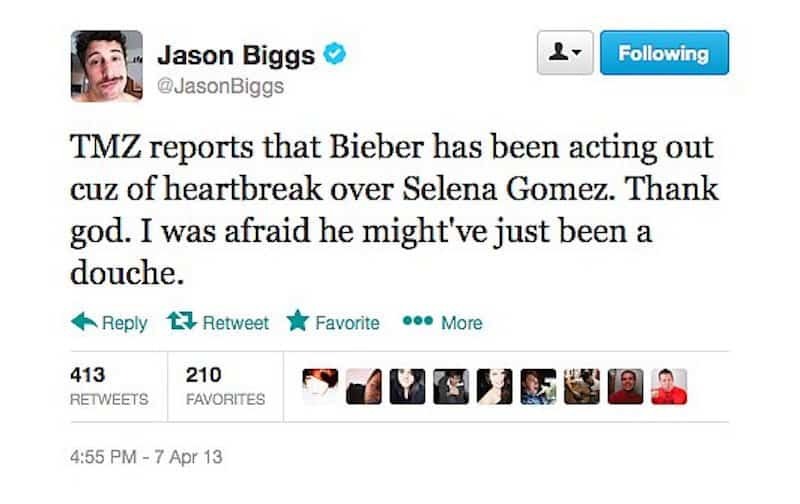 The American Pie actor offers up a slice of not-so-subtle sarcasm about his feelings towards Justin Bieber. Surprisingly, it’s still one of the nicer ways a non-fan of Bieber’s has burned him. Singer and comedian “Weird Al” Yankovic is the father of one, and he also has one of the funniest Twitter accounts around! 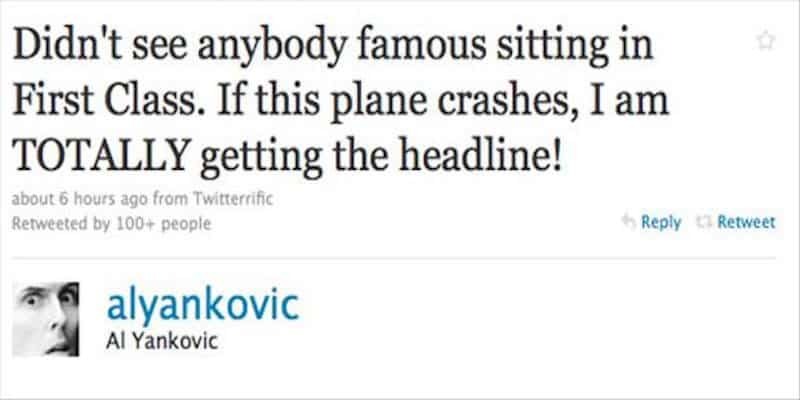 In this tweet, he’s been able to put a positive spin on a plane crash. Impressive. 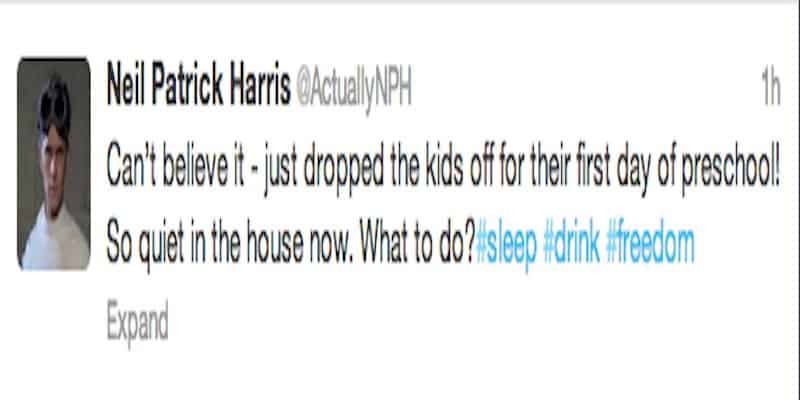 Actor Neil Patrick Harris is just like other parents who need a little quiet time, and maybe a drink or seven. 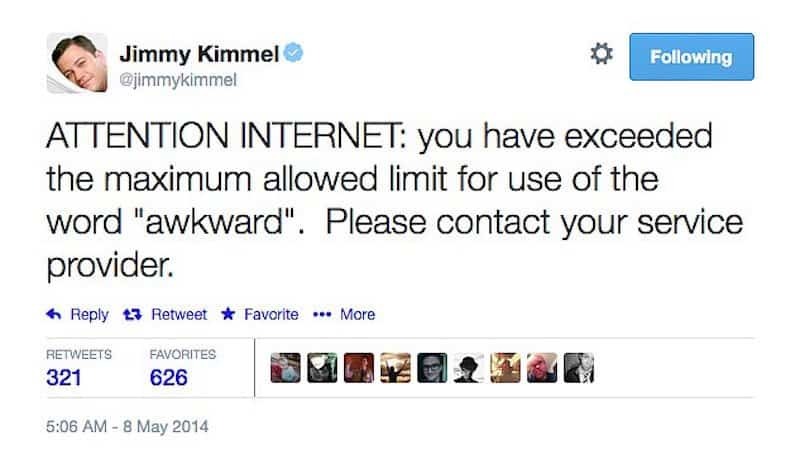 Talk-show host and father, Jimmy Kimmel, has called us all out for overusing the word “awkward,” and even better, he did it in a totally awkward way. 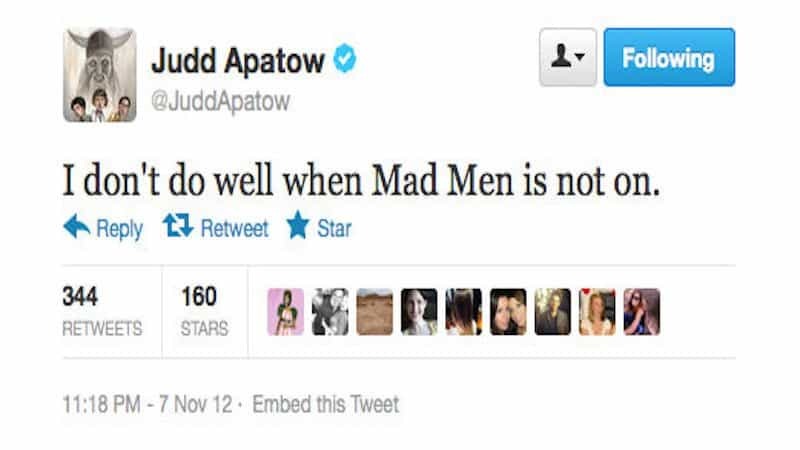 Super-producer and father of two daughters, Judd Apatow hopefully has enough going on to keep him busy now that Mad Men is over. The best thing about Kanye West’s tweets is that they don’t seem to be intentionally funny, but that doesn’t stop them from causing some serious LOLs. 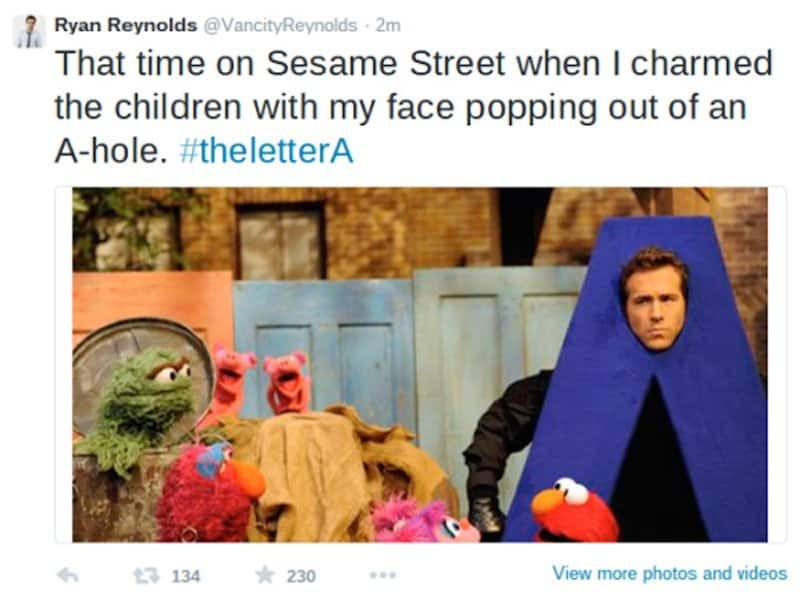 Ryan Reynolds has the ability to make a joke that takes a slightly inappropriate tone when adults read it, but just looks funny to kids. That makes him the perfect Sesame Street guest.